Mort Künstler Limited Edition 2017 Annual Snow Print Giclee on Canvas:"Fox Hollow Farm, Winter"
About the Art: 2017 Annual Snow Print. 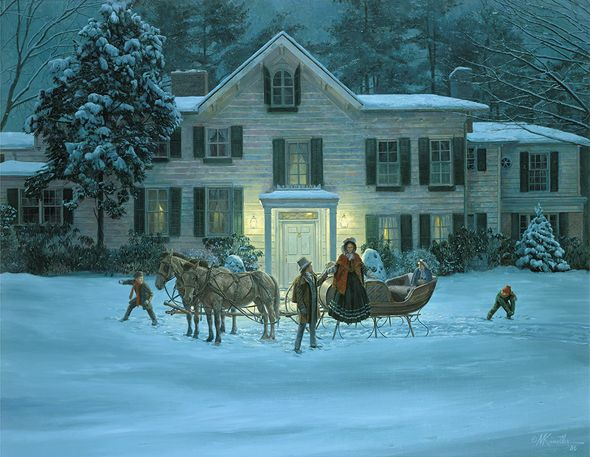 Mort Künstler was commissioned to do this painting by the family living in this beautiful 19th century house. He portrayed the family in typical period attire. For the first time, it is available as a limited edition.